Art | Memory | Place Centenaries: what are they good for? Keynote lecture by Professor Ann Rigney opened the Art | Memory | Place programme with the question: Centenaries: what are they good for? Artists Shane Cullen, Cecily Brennan and Chloe Dewe Mathews provided responses to these themes drawing on their own practice and experience. Chaired by Ailbhe Murphy, Director of Create. 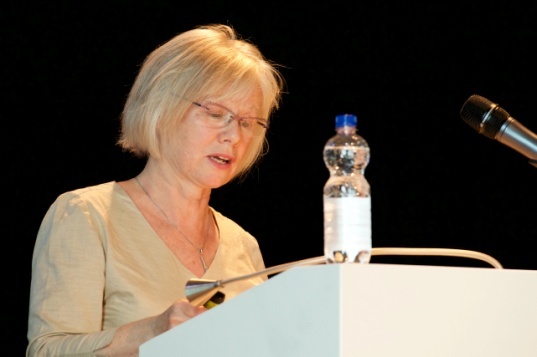 Keynote lecture by Professor Ann Rigney (chair of Comparative Literature at the University of Utrecht) and Director of the Utrecht Forum for Memory Studies, opened the Art | Memory | Place programme on Saturday 24 October 2015 with the question: Centenaries: what are they good for? She challenged some of the assumptions about historical memory and the rituals and traditions constructed around commemorative practice. This contribution was particularly timely, in the context of the decade of centenaries. Artists Shane Cullen, Cecily Brennan and Chloe Dewe Mathews provided responses to these themes drawing on their own practice and experience. Chloe Dewe Mathew’s exhibition Shot at Dawn was on show at IMMA from Oct 2015 to March 2016. This session will be chaired by Ailbhe Murphy, Director of Create.